Monday is Free Entrance into National Parks Day! There are several days each year in which entrance fees are waved at the National Parks, and Monday is one of those days! 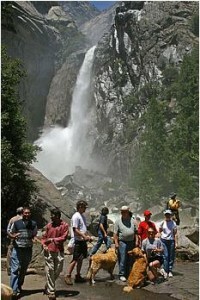 For more information, check out the National Park Services site. Note: Other fees such as reservation, camping, tours, concession and fees collected by third parties are not included unless stated otherwise.